Tina's warm smile and easy going nature are contagious! 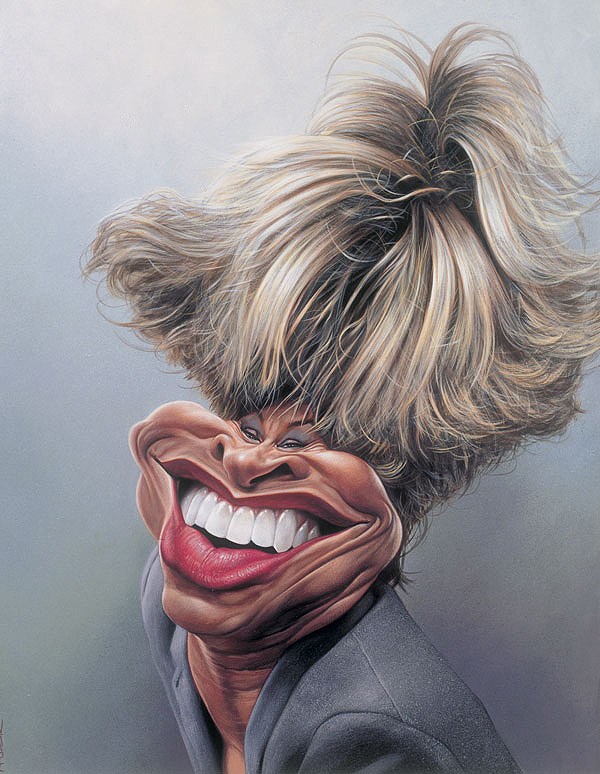 Tina Turner by Sebastian Krüger; acrylic on board measuring 45X35 cm. (18X14 inches). Tina Turner (born November 26, 1939) is a singer, dancer, actress, and author, whose career has spanned more than half a century. Tina is often referred to as the 'Queen of Rock 'n' Roll'; and has also been termed the most successful female Rock 'n' Roll artist, receiving eleven Grammly Awards, including eight competitive awards and three Grammy Hall of Fame awards. Turner has also sold more concert tickets than any other solo performer in history. Her combined album and single sales total approximately 180 million copies worldwide, making her one of the best-selling females in music history. She is known for her energetic stage presence, powerful vocals, and career longevity. Rolling Stone ranked her no. 63 on their 100 greatest artists of all time. In 1991, she was inducted into the Rock and Roll Hall of Fame. Here is a rare opportunity to own a painting of TINA TURNER the 'Queen of Rock 'n' Roll', painted by the undisputed 'King of Caricature', the illustrious SEBASTIAN KRÜGER.